The Paddy's Pub gang returns with a new set of hi-jinks in their seventh season. It's hard to imagine that a show that began with three guys and a camcorder is now beginning it's seventh season. Thankfully, the Paddy's crew has changed very little in that time and they continue to crack us up by doing horrible things to themselves and others. 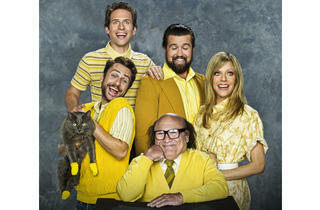 The first four episodes of the new season find the gang in a variety of crazy circumstances. In the season premiere, "Frank's Pretty Woman," Frank (Danny DeVito) has decided to propose to a prostitute named Roxy (Alanna Ubach). Several references are made to the Richard Gere/Julia Roberts film, but this is a Sunny take on things, so of course, Roxy is no Julia. Later episodes see the gang taking a group vacation to the Jersey shore, Frank hosting a beauty pageant for little girls and Dee getting audited after claiming the surrogate child she delivered last season as a dependant on her tax return. It's the same depraved humor we've come to know and love from these characters and hilariously good stuff. One notable change this year is Mac's (Rob McElhenney) weight gain. The actor gained about 50 pounds this year, further adding to the character's obsession with his personal mass but also keeping in mind that, after several years of working at a bar and not taking particulary good care of themselves, these characters aren't going to be maintaining TV star figures. Mac's increased girth is more of a running source of humor, only specifically noted in the first episode, but it makes for some good jokes even if that gag is simply the act of McElhenney donning a Tommy Bahama shirt. It's Always Sunny in Philadelphia continues to garner laughs from their sordid pack of deviants, even seven years in. 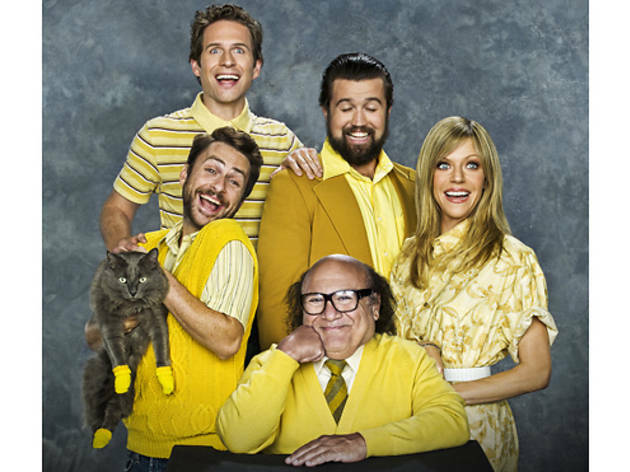 The seventh season of It's Always Sunny in Philadelphia airs Thursday 9pm on FX.